Another method to destroy negative karma. In India the continual repetition of a name of God or a prayer is well known as the practice of mantra or japa yoga. 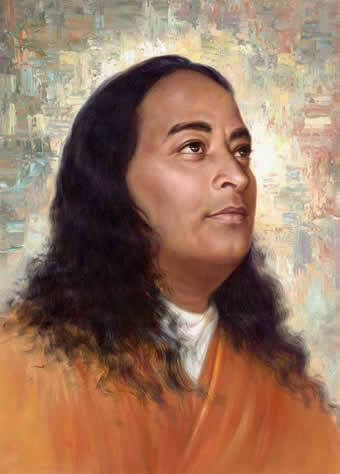 Paramahansa Yogananda also highlighted a branch of mantra science in the form of positive affirmations, understanding that the practical western mindset was appreciative of a proactive self-help approach to life. He was the first to write an extensive book on the subject, titled Scientific Healing Affirmations. “This groundbreaking book reveals the hidden laws for harnessing the power of concentrated thought — not only for physical healing, but to overcome obstacles and create all-around success in our lives. 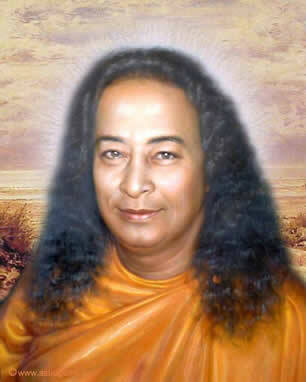 At the same time, Yogananda was fully aware of the benefits of devotional mantra as a way of attracting Divine grace. Brother Mokshananda was a monastic sannyasin disciple of Yogananda’s and below are some sections from a talk he gave on japa yoga, which is another name for the practice of mantra. “One of the best-known ways of doing this, called Japa Yoga in India, is to take an affirmation, prayer, or devotional chant—or simply the name of God—and silently repeat it over and over again. 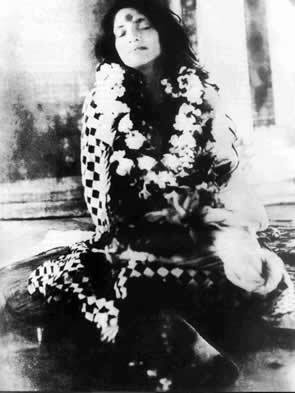 “Paramahansa Yogananda said: Every thought we think sets up a particular subtle vibration. When you mentally utter the word 'God,' and keep on repeating that thought within, it sets up a vibration that invokes the presence of God. “As we persevere in the practice of the Presence, we become increasingly aware of God when we are outwardly active as well as when we are meditating. In nature, for instance, the advanced bhakti yogi enjoys not only the harmony and beauty expressed in flowers and sunsets and other natural wonders, but also experiences an awareness of the Divine Life and Intelligence and Love underlying all creation. 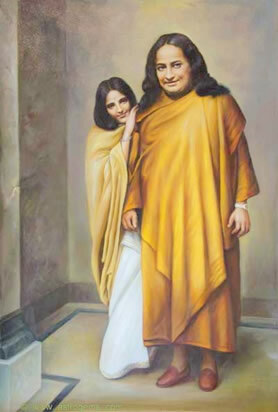 “Paramahansa Yogananda said: It is when you persistently, selflessly perform every action with love-inspired thoughts of God that He will come to you. Then you realize that you are the Ocean of Life, which has become the tiny wave of each life. This is the way of knowing the Lord through activity. When in every action you think of Him before you act, while you are performing the action, and after you have finished it, He will reveal Himself to you. You must work, but let God work through you; this is the best part of devotion. If you are constantly thinking that He is walking through your feet, working through your hands, accomplishing through your will, you will know Him. 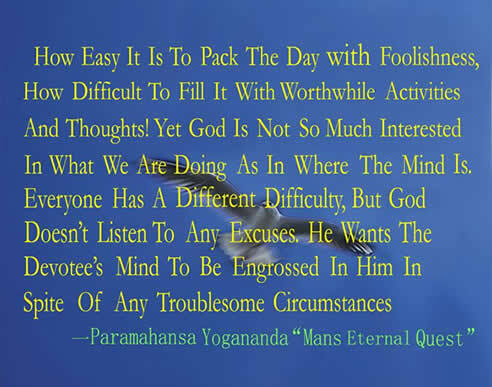 Brother Mokshananda also said in another talk. "There is another form of Bhakti Yoga that takes this attitude of faith and confidence a step further—the practice of affirmation. The difference between a prayer-demand and an affirmation is this: In prayer we ask for something and wait to see whether or not our request will be granted. In affirmation, we assert our conviction that what we need or desire has already come to pass. For instance, instead of praying to God, "Lord, help me to know that I am Thy child," affirm the truth that you are His child, and always have been. "The law of affirmation is very scientific, for it is based on the unlimited power of thought. Everything in creation originated as an idea in the Divine Mind, and was condensed into material form by God's will. Being made in God's image, we too can apply this same law. If we take a statement of truth and revolve it in our consciousness with continuous will and deep conviction, eventually it gains enough force to manifest outwardly. "First, choose an affirmation appropriate to your need—physical healing, prosperity, self-improvement, spiritual progress, or whatever else may be necessary in your life. [Affirmations for a variety of uses may be found in Scientific Healing Affirmations, Metaphysical Meditations, and the Self-Realization Fellowship Lessons, all by Paramahansa Yogananda and published by Self-Realization Fellowship.] It should not be a long thought; just a sentence or two that clearly and vividly conveys the state you are striving to bring about. (a) Begin your practice of affirmation by repeating that thought aloud for a period of time. (b) Gradually let your repetition become softer and softer, until it becomes a whisper. (c) Then go on repeating it mentally, with ever-increasing concentration, allowing it to sink deep within. "If you continue this, not just for a few moments but for a long time in meditation and whenever you have a chance during the day, that affirmation becomesvery powerful. When you firmly plant a truth in the conscious mind through affirmation, it will take root in the subconscious and come back later to influence your thoughts and actions. 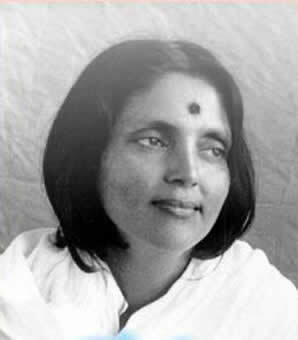 And if you go even deeper with your repetition of that truth, continuously revolving it in your mind with devotion, concentration, and will power, it reaches the super conscious mind, and eventually manifests in one's meditation or at another time as a divine experience of healing or realization. “Super conscious blessings are attended by great calmness—peace or joy or a profound sense of well being. They have a lasting effect; when you recall them to mind you immediately feel the same upliftment of consciousness that accompanied the original experience. Most important, a true response to prayer or affirmation brings some tangible positive change in your life — such as freedom from a bad habit, victory over illness, healing of a negative emotion or inharmonious relationship, greater love for God and desire for His presence. 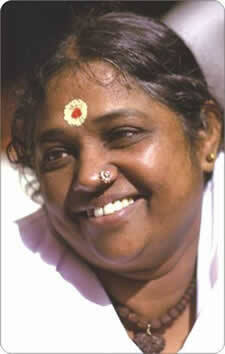 These transformations come through right practice of prayer, affirmation, and devotional chanting." "Love is God," not merely as the noblest sentiment of a poet but as an aphorism of eternal truth. To whatever religious creed a man may belong and whatever be his position in society, if he properly cultivates this ruling principle naturally implanted in his heart, he is sure to be on the right path to save himself from wandering in this creation of Darkness, Maya." 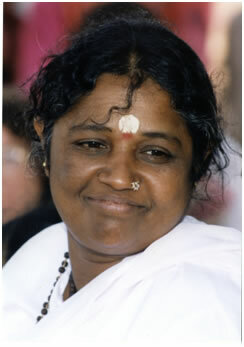 Amma says that “the purpose of mantra japa (chanting) is to lead us to the ultimate silence of the Self, from where all sounds and forms arise. Further, in the present age of materialism, chanting the mantra (japa), is the easiest way for us to obtain inner purification and concentration. 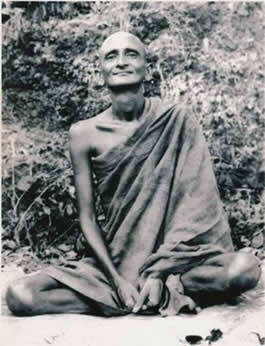 Japa can be done at any time, anywhere without observing any rule regarding the purity of mind and body. Japa can be done while engaged in any task. “Constantly repeating God's name will diminish the ego." ‘I am an important person; I hold a high position in society. How can I go to the temple and worship in the jostling crowd there? How will I bow down before the Lord? Isn't that demeaning?’ Thoughts like these arise from the ego. Be ready, always, anywhere, to repeat the Lord's name and to pay homage to the Lord and the guru. We don't gain anything from a certificate of greatness from society; what we need is a certificate from God. With constant effort, we will be able to repeat the mantra in our minds even while doing any type of job. If we lose our money while traveling, think how frantically we search for it! In the same way, if we are unable to do japa even for a brief moment, we should grieve: "Alas, Lord, I have lost so much time! " If there is such anguish, even the time we spend sleeping will not be wasted. Children, even if we lose a million dollars, we can recover it. If we lose one second, we cannot get it back. Every moment that we are not remembering God is lost to us. Chanting replaces other thoughts with that particular mantra. Just as saline water loses its salty taste by constantly adding fresh water, through constant repetition of a mantra, the number of thoughts can be reduced. In due course, all thoughts can be eliminated except one, that is God. Love will spring through japa if one has complete faith and intent to reach the goal. Mantra japa, done with the proper understanding of this principle will ultimately take us to the Source. At this point, the seeker realizes that the form he has been meditating on, as well as all other forms that exist within himself, are the manifestations of the Self. It is a good practice to write at least one page of mantra daily. Many people get better concentration by writing than by chanting. 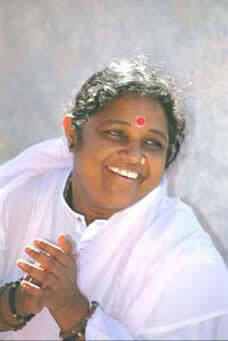 Try also to inculcate in children the habit of chanting and neatly writing the mantra. This will help to improve their handwriting, too. The book in which the mantra is written should not be thrown around; it should be carefully kept in our meditation or shrine room." "Name (Nama) and the object (Rupa) signified by the Name are inseparable. Thought and word are inseparable. Whenever you think of the name of your son, his figure stands before your mental eye, and vice versa. 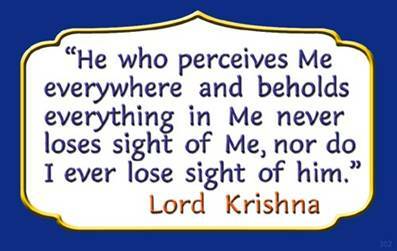 Even so when you do Japa of Rama, Krishna or Christ, the picture of Rama, Krishna or Christ will come before your mind. Therefore Japa and Dhyana go together. They are inseparable. "Do the Japa with feeling. Know the meaning of the Mantra. Feel God's presence in everything and everywhere. Draw closer and nearer to Him when you repeat the Japa. Think He is shining in the chambers of your heart. He is witnessing your repetition of the Mantra as He is the witness of your mind. "The glory of the Name of God cannot be established through reasoning and intellect. It can be experienced or realized only through devotion, faith and constant repetition of the Name. When the mind wanders, do the Japa aloud, or whisper the Mantra for some time and come back to mental Japa again as soon as possible. "Do not do the Japa in a hurried manner, like a contractor who tries to finish his work in a short time. Do it slowly with feeling, one-pointedness of mind and single-minded devotion. 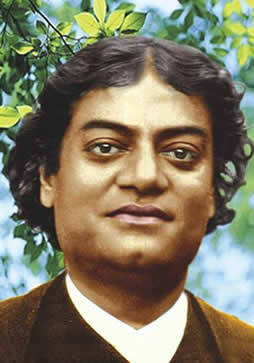 "Continue the current of Japa mentally at all times, whatever be the activity in which you are engaged. 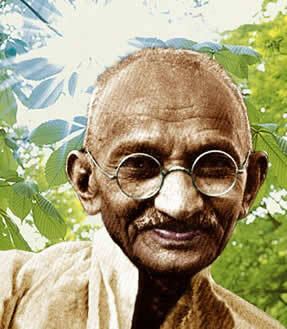 Carry on your Sadhana with tenacity and perseverance, without a break. Realize the glorious goal of life and enjoy supreme bliss." 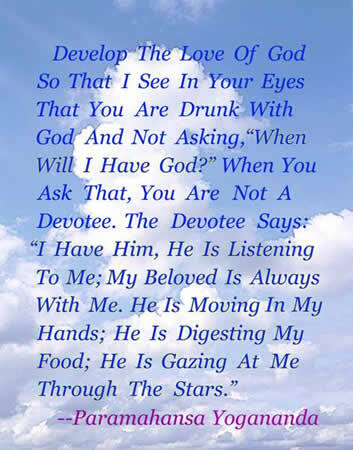 "The fact that you are aware of your incapacity to concentrate on God’s name is His grace also. Even though not interested take the Name as medicine. This also will have a good result. You will improve. God’s name invariably bears fruit. This is why it is said, either get yourself admitted into the hospital , take the medicine prescribed by the doctor, regulate your diet , and your illness will be cured. Or use the doctor’s medicine and diet while remaining at home. That is to say either renounce everything and seek refuge solely in His name, or else, while remaining with your family, act according to your Guru’s instructions and live a regulated life. Thereby also you may hope to get rid of your disease. Whoever likes to take injections? Yet they are beneficial. Which child enjoys learning to read? All the same, by studying regularly with the assistance of one’s parents and teachers one becomes an educated person. This is so, where learning is concerned that serves worldly ends. Again , if you can acquire Brahmavidya, the knowledge of Reality, there is hope of recovering supreme wealth. What is supreme wealth? None but God Himself. "No attempt is futile; everything serves a purpose. Suppose you are travelling somewhere by railway. In order to catch the train you will first go by boat from your village to Dacca, then descend from the boat with the help of a stick and get into a horse-carriage that will take you to the station. Although your aim is a journey by train, you cannot say that the boat, stick, horse-carriage and so forth are of no use. Similarly, you should understand that everything you do in order to realize God is helpful. Nothing at all is wasted. By whatever Name you may invoke Him, your effort will be crowned with success. The main thing is to cling to the Name of constancy. 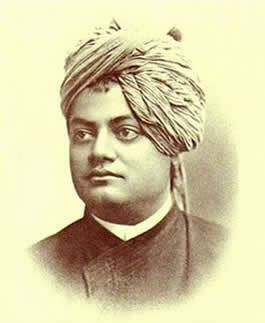 "Just try to keep the kite of your mind tied to the string of the Divine Name. If it is fixed in this manner your thinking will some day or the other get under control. Although restlessness is the nature of the mind. Yet to become still is its dharma. To make it calm you will have to be centered in something. In order to find a job you look to some person or other for support, you go to a particular place. Similarly, in order to be liberated have recourse to the Name. "At all times the repetition of the Lord’s Name should be kept up. Through the practice of the Name enjoyment, liberation, peace, all these will blossom forth. With firm faith, implicit confidence and devotion, casting away pride, adhere to the Name and you will see that all your work will be done; as it were, of itself. When this body was engaged in the play of sadhana, this kind of thing used to happen and this is why so much stress is laid on it. 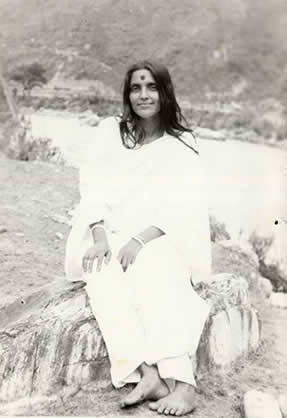 Do not take anything lightly in order to test God, for by doing this you will not advance towards Self-realization. Surrender your all to Him! Your burden , the burden of the world is ever carried by the One who sustains the universe – remember this! "The performance of Japa has a beneficial result of its own. When a person practices japa and dedicates its fruit to God. The fruit can never be destroyed or lost. When the time is ripe God will return to the aspirant. When the sadhaka begins to notice that his desires and passions are growing weaker and weaker, he should understand that God is in this way bestowing upon him the fruit of his practice. This is why one does japa samarpana (offering one’s japa to one’s Ishta). "Karma accumulated for ages and ages, sins and desires are wiped out by God’s sacred Name. Just as lighting a lamp illumines a cave that has been in darkness for centuries, even so the obscurity of numberless births is annihilated by the power of the Divine Name." 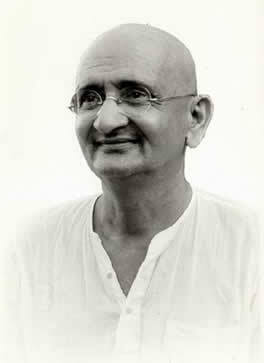 Many more quotes on Japa yoga can be found at the below URL. Question : Is there no benefit at all in doing japa with the mouth? 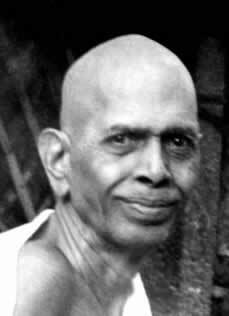 Ramana Maharshi: Who said there is no benefit? Such japa will be the means for chitta suddhi [purifying the mind]. As the japa is done repeatedly the effort ripens and sooner or later leads to the right path. Good or bad, whatever is done never goes to waste. Only the differences and the merits and demerits of each will have to be told, looking to the stage of development of the person concerned. Question : Sri Bhagavan has said that the japa must be traced to its source. Is it not the mind that is meant? 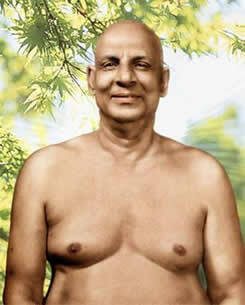 Ramana Maharshi: All these are only the workings of the mind. Japa helps to fix the mind on a single thought. All other thoughts are first subordinated until they disappear. When it becomes mental it is called dhyana. Dhyana is your true nature. It is however called dhyana because it is made with effort. Effort is necessary so long as thoughts are promiscuous. Because you are with other thoughts, you call the continuity of a single thought meditation or dhyana. If that dhyana becomes effortless it will be found to be your real nature. 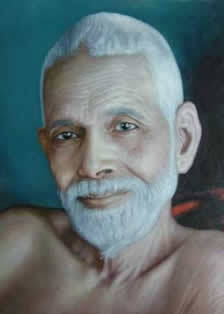 Ramana Maharshi: One should not use the name of God mechanically and superficially without the feeling of devotion. Question : So mechanical repetition is unproductive? Ramana Maharshi: Acute diseases will not be cured merely by repeating the name of the medicine but only by drinking the medicine. Similarly, the bonds of birth and death will not cease merely by doing many repetitions of mahavakyas such as `I am Siva'. Instead of wandering about repeating `I am the supreme', abide as the supreme yourself. The misery of birth and death will not cease by vocally repeating countless times `I am that', but only by abiding as that. 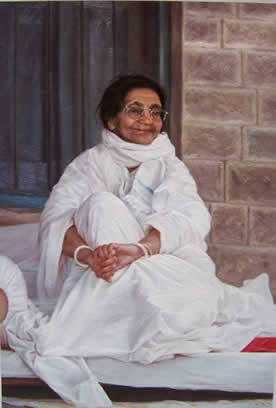 "How to attain purity living this life? Shall we all go to the forest caves? What good would it do? If the mind is not under control, it is no use living in a cave because the same mind will bring all disturbances there. We will find twenty devils in the cave because all the devils are in mind. If the mind is under control we can have the cave anywhere, wherever we are. "It is our own mental attitude, which makes the world what it is for us. Our thoughts make things beautiful, ourthoughts make things ugly. The whole world is in our own minds. Learn to see things in the proper light. "Take up one idea. Make that one idea your life – think of it, dream of it, live on that idea, let the brain, muscles, nerves, every part of your body, be full of that idea, and just leave every other idea alone. This is the way to success… if we were really want to be blessed, and make others blessed, we must go deeper. "Good and evil thoughts are each a potent power and they fill the universe, as vibration continues, so thought remains in the form of thought until translated into action. For example, force is latent in the man’s arm until he strikes a blow, when he translates it into activity. We are the heirs of good and evil thought. If we make ourselves pure and the instruments of good thoughts, these will enter us. The good soul will not be receptive to evil thoughts. "You have to grow from inside out. None can teach you, none can make you spiritual. There is no other teacher but your own soul." "The root meaning of the word "Mantra" itself is that if remembrance is kept up, it will take you across the ocean of Samsara. "For all people there is only one way of approach to God. 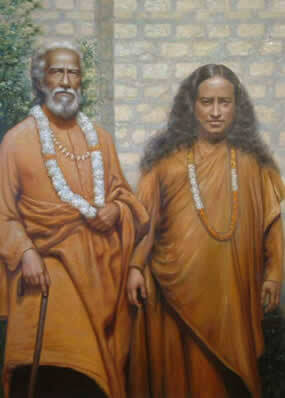 They must have pure devotion to God and should perform good actions. Bhakti and Karma go together. For -you, to start with, repetition of: GOD's name is the way. Have God's name continuously on your tongue Lead a pure and truthful life. Be kind and. compassionate to those who are in distress. Read the Bhagavad Gita daily. "The ego is hard to conquer. The whole of our struggle is to do away with it. Surrender is the only way. Our personal struggle goes for nothing. It is His grace that should make all things, easy for us. We fret, fume and grumble when our effort proves futile. Instead of this attitude, it would be well to humble ourselves to the dust and take His name and feel always that He is the sole doer. Verily, by His will alone all things happen. Take refuge in Him, make Him your all in all, surrender your entire being to Him, and He will reveal Himself within you and fill every fiber of your being with His radiance, peace and joy." Quotes taken from Brother Lawrence's Practice of the Presence of God. "By taking the name of Ram, everything is accomplished. In this Kali Yuga." 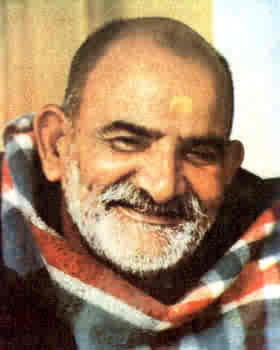 Neem Karoli Baba encouraged the constant repetition of "Ram" in order to become closer to God, saying "By taking the name of Ram, everything is accomplished." Ram is total truth as earth and universe is. As per Gita (9th chapter); even if we (the people of different religions/traditions) remember God (i.e. true self) by any name; we succeed in individual and universal blossoming. The most basic mantra is Aum, which in Hinduism is known as the "pranava mantra," the source of all mantras. Aum is a Sanskrit root word or seed-sound symbolizing the creative divine intelligence, which creates and sustains all things: It is also known as the cosmic vibratory intelligent word of God that sustains all the created universes. As a running motor produces sound so Aum testifies to the running of the cosmic motor that upholds all life and every particle of creation through vibratory energy. Quantum scientists have discovered that behind the atomic matrix of all matter is a moving wave of intelligent vibratory fields of energy. 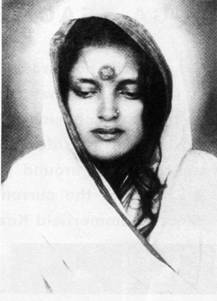 When the aspirant’s consciousness is in the advanced stage of peace she/he can be receptive to the sound of the cosmic motor and they will also naturally feel deeply attuned to prayer and actual communion. Before the yogi can hear such an elevated astral sound in meditation on a regular basis a moral preparation of consciousness with its natural alert calmness is consideredessential. And on a practical note…. For millennia in Asia, bead malas or necklaces have been used as a way to remind the mind to do the next mantra. The holding of the beads in ones hand acts as a simple reminder to the mind to not forget the next repetition. Beads however are inconvenient when driving, in social settings or even in bed. And it is for this reason that with the advent of modern technology the below tool is being recommended. This instrument is excellent for devotional mantra, prosperity affirmations or for any of the other Positive affirmations. It can easily be used while the hand is in the pocket, and can be used discreetly in many settings. Positive affirmations can be used to help dissolve a bad habit, strengthen a good one, overcome depression or eliminate many a psychological weakness. Naturally they can also be used to strengthen one's already good tendencies. But just as intention filled thought and words have combined Vedic power, affirmations for abundance when done correctly can greatly attract the Grace of the Divine. 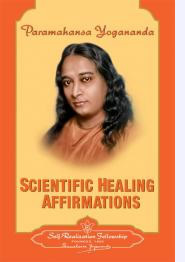 To fully understand this approach I also recommend reading the related section in Scientific Healing Affirmations by the renowned Yogi Master Paramahansa Yogananda who was the first author to detail this subject in published form in the West. Just as seekers of truth have used bead malas or rosaries for millenniums many believe the new digital tool referenced below can help ensure reliable practice without distraction in a much quieter way (silently) that is in a much more simple and less conspicuous manner. Get in a groove by repeating your positive affirmations for abundance without distraction by using this amazing digital silent counter. Set your goal of how many times you can affirm your prosperity truth and count them daily. There is a profound mind-hand connection when using the counter that greatly helps you stay focused on manifesting your affirmation. Rid yourself of poverty-consciousness and train your subconscious mind to attract wealth, opportunities, new initiatives, and appreciation. Every thought we think creates a particular subtle vibration. When we mentally utter the magnetic affirmation for prosperity without delusive assumptions, but based on principles of truth, and keep on repeating that thought within, it sets up a vibration that evokes that manifestation. Positive thinking and affirmations create subtle astral forces that come to our aid. Positive affirmations embrace positive thinking to manifest great change in your life. 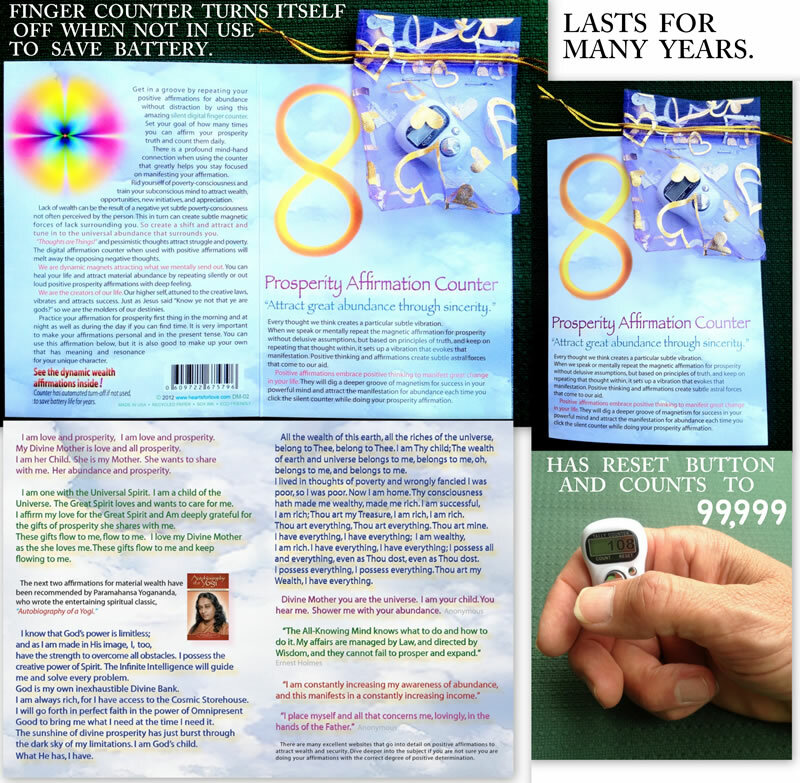 They will dig a deeper groove of magnetism for success in your powerful mind and attract the manifestation for abundance each time you click the silent counter while doing your prosperity affirmation. Lack of wealth can be the result of a negative yet subtle poverty-consciousness not often perceived by the person. This in turn can create subtle magnetic forces of lack surrounding you. So create a shift and attract and tune in to the universal abundance that surrounds you. “Thoughts are Things!” and pessimistic thoughts attract struggle and poverty. The digital affirmation counter when used with positive affirmations will melt away the opposing negative thoughts. We are dynamic magnets attracting what we mentally send out. You can heal your life and attract material abundance by repeating silently or out loud positive prosperity affirmations with deep feeling. We are the creators of our life. Our higher self, attuned to the creative laws, vibrates and attracts success. Just as Jesus said “Know ye not that ye are gods?” so we are the molders of our destinies. Practice your affirmation for prosperity first thing in the morning and at night as well as during the day if you can find time. It is very important to make your affirmations personal and in the present tense. You can use this affirmation below, but it is also good to make up your own that has meaning and resonance for your unique character. I am love and prosperity. 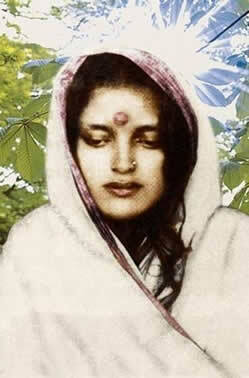 My Divine Mother is love and all prosperity. I am her Child. She is my Mother. I am one with the Universal Spirit. The Great Spirit loves and wants to care for me. Am deeply grateful for the gifts of prosperity she shares with me. These gifts flow to me, flow to me. I love my Divine Mother as the she loves me. These gifts flow to me and keep flowing to me. 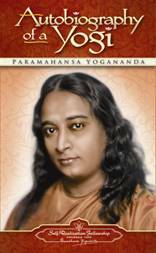 The next two affirmations for material wealth have been recommended by Paramahansa Yogananda who wrote the great spiritual classic “ “Autobiography of a Yogi”. Oh, belongs to me, and belongs to me. I am your child. You hear me. Shower me with your abundance. Mantra repetition simply means repeating a sentence or group of words that have a deep phonetic significance. The word "Mantra" is a Sanskrit word combination of the two words 'mananat' and 'trayati'. Mananat is a continuous repetition of something in your mind, a recitation which takes place inwardly and Trayati means liberation from fear. And thus a mantra is considered a repetition of divine vibratory sounds which in time cleanse and liberate the individuals consciousness of all kinds of anxiety as the individual moves ever closer towards the goal of Self-realisation. In the cosmic sense, sound is mantra and mantra is sound. Audio vibrations are emanating throughout every thing and particle in the Universe. When water flows, the gurgling sound it makes has a mantric relationship with creation. When wind blows through the trees, the rustling sound of the leaves can be considered as mantra. Even the rhythmic pounding of the oceans surf affirms a timelessness of truth. Just being and attentively listening to all sounds with the guise of a humble, appreciative observer in the awareness of the universal loving spirit is a form of mantra or meditation practice. Every thought and action we do has a resonant vibration and as we spiritually progress those vibrations will merge more harmonically with the greater environment or God. Even our breathing phonetically reverberates with a mantric sound, which is why so many meditation techniques encompass this simple practice of watching the breath. Genesis 1:3 infers that sound was before light "And God said let there be light" Thus, many scholars relate to the Divine creative intelligence as being manifested via sound vibrations. As you have just read about the characteristics of OM earlier in this passage, so this sacred sound is often integrated into Mantras. Phonetically, a mantra is no ordinary combination of letters and syllables, but a living intelligent power. The name of God is not different from God when we finally learn to integrate the two into one. Mantra has been called the sound-body of God: It is an aspect of God in the form of sound. "Among rituals, I am the ritual of mantra repetition." 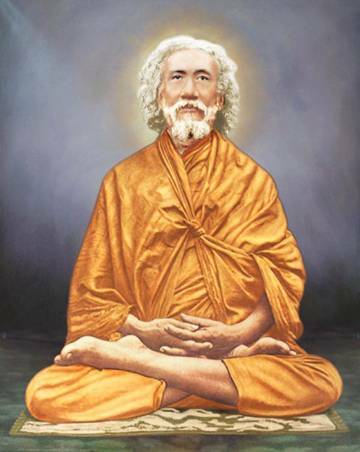 While enlightened beings or avatars may recommend exceptional meditation techniques and scriptural study for attaining Cosmic Consciousness, they will also usually suggest to the student loving integration of a mantra. It is not unusual for the novice to be encouraged by the experience of God by repeating the mantra. The practice of Mantra is the repetition of a group of words which are themselves meaningful sound vibrations which awaken the love of God in our hearts and minds. 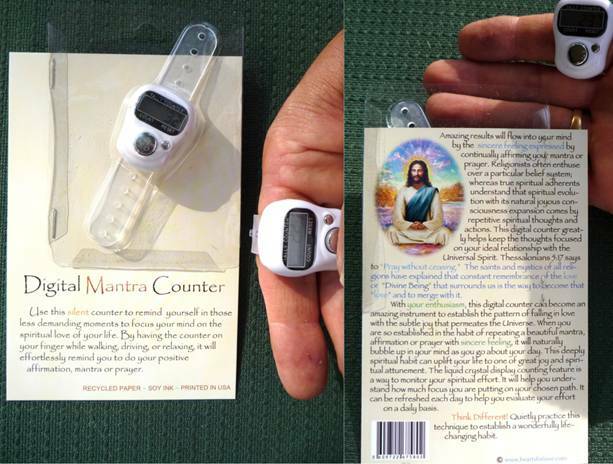 Here is a video showing how the wonderful tool of the digital mantra counter can work . it helps to make mantra practice reliable and consistant. It is a wonderful aid to those who get distracted and hence stop the rhythm of their practice; wonderful while driving or on walks etc. In India the below given mantra is regarded as a wish fulfilling mantra, if done with total devotion.